If you watched television in the ‘90s you probably remember The X-Files. I’m a huge fan — and beyond excited for the upcoming revival episodes airing this winter! Today, I’m combining my two greatest loves: nutrition and the best series of all time. 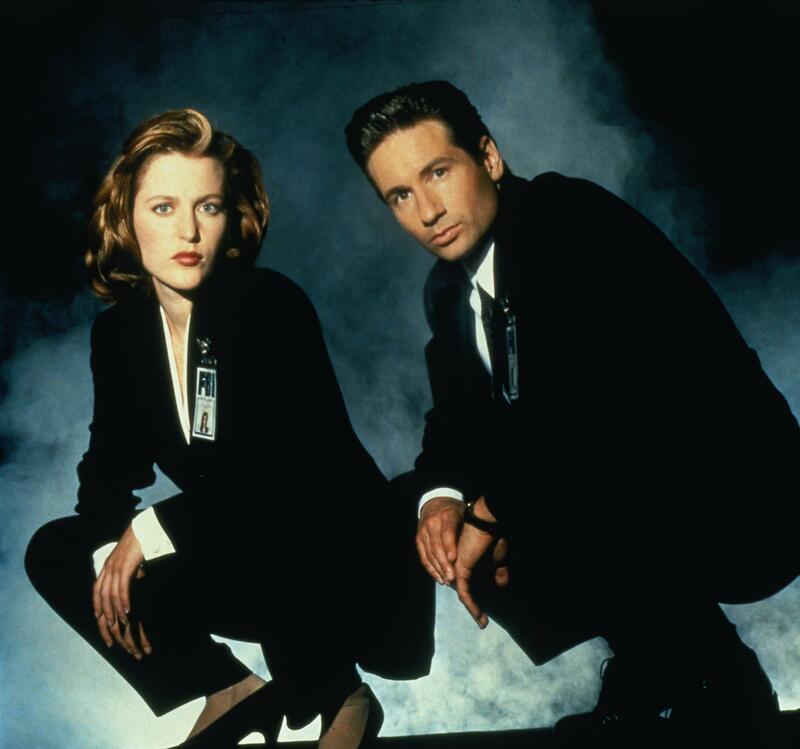 Our beloved FBI Agents Fox Mulder and Dana Scully most certainly burn a lot of calories hunting aliens and trying to figure out a massive global conspiracy that threatens to wipe out the human race. Although our duo doesn’t eat much during the original run of the show, they do snack occasionally. So, my question: would these snacks truly give them the energy they need to save the world? Mulder’s favorite go-to snack, which we first see him eating in the pilot episode, is sunflower seeds. Great choice, Mulder! Sunflower seeds have significant amounts of vitamin E, magnesium, and selenium, as well as providing heart-healthy fats, protein, and fiber. Sunflower seeds have a lot of documented health benefits. Some studies say they reduce the risk of cardiovascular disease. Others suggest they lower cholesterol, bring down high blood pressure, and even prevent cancer. Maybe this explains why Mulder still looks as great as he does in his mid-50s! Scully is not seen snacking as much. We do see her occasionally eating a salad while listening to Mulder explain their next case or ordering a pizza after a long, tiring night of autopsying vampire victims. But even a girl detective extraordinaire has got to snack sometimes. One afternoon, we see Scully taking bites out of a nonfat Tofutti rice dreamsicle. Since those don’t exist, Scully probably meant she was having a “Yours Truly” by Tofutti. Well, Scully, you probably could have chosen something a little bit healthier. This treat is mainly sugar (21 grams) with little fiber and protein (2 grams each). It also contains carrageenan, which can cause inflammation, gut irritation and may increase cancer risk. Scully, you have already been there and we don’t want you going back! She still looks great though and there is no doubt she will keep up with Mulder just as she always has. Just pocket some of Mulder’s sunflower seeds next snack time, Scully. He definitely won’t mind.